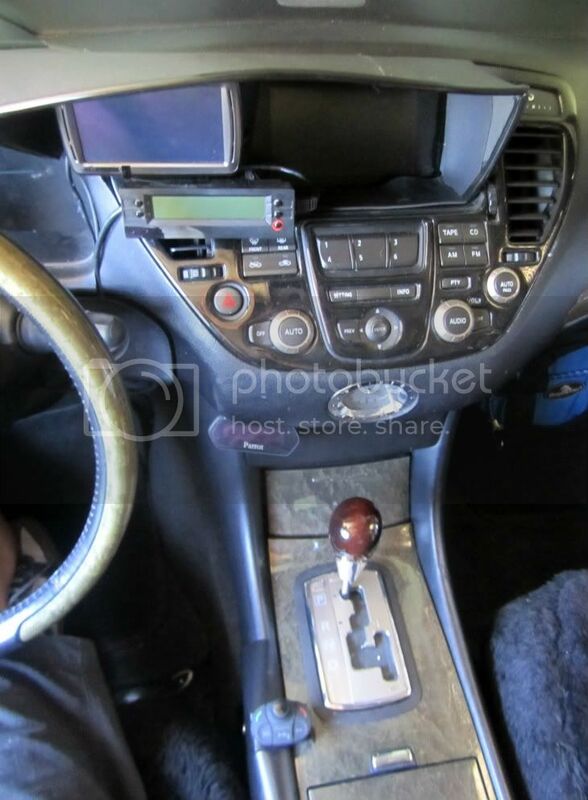 I have had my SG and GPS in various locations in my car. While this setup worked because I am left-handed, My eyes were having to shift all over to get the various readings. If you are 'using' your SG like I do, you realize that it needs to be at the same eyesight as the other gauges in the car. 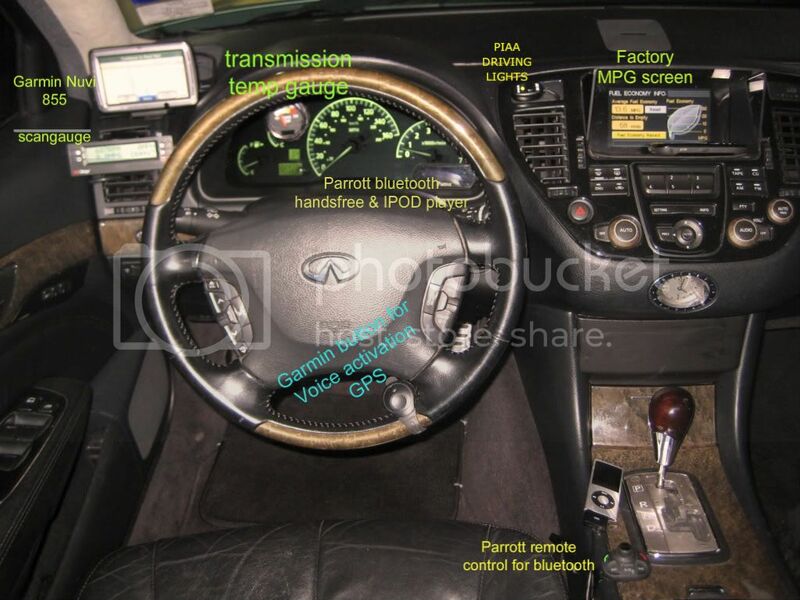 It also has to be mounted securely so you can tough the buttons to change gauges. I finally have decided to mount the GPS and SG right in the middle. About 4 years ago I had a black acrylic shield made to reduce some of the glare on the center screen. You can see it in this picture. While I liked having the GPS and SG right there, when I would look at them I would get the light from the uotside and it was tough adjusting. I drive 6-10 hours at a time on some trips and I needed to do something. This week I finished a cover. I used a plastic nootbook that had a grainy surface on it. I built the shape uot of thick poster board, the glued the plastic to that. 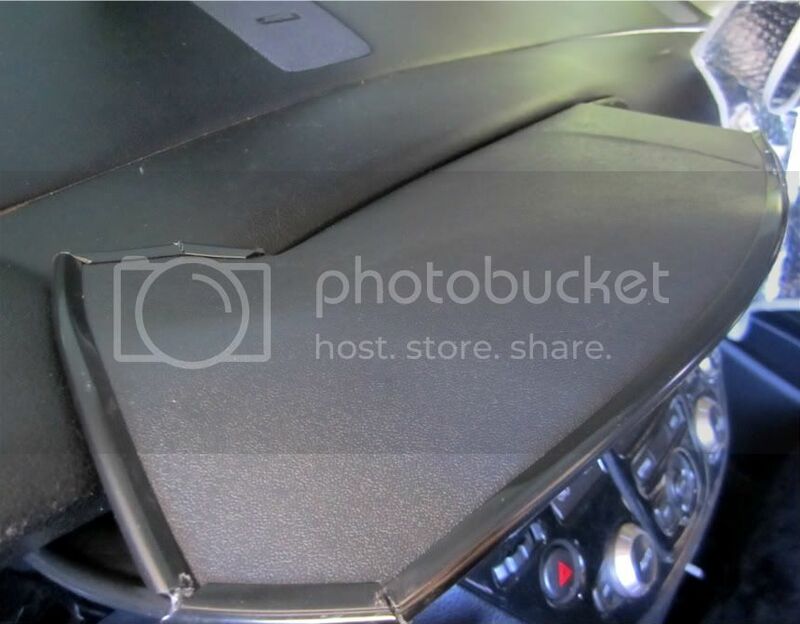 My experiense has been that plastic will lose it's shape in the heat inside a car. The thick poster board helps resolve that. 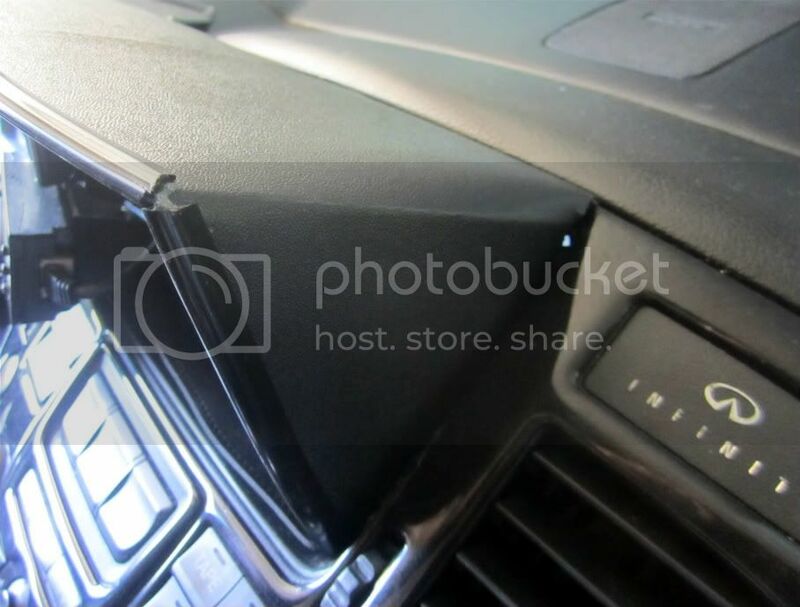 the edges are trimmed with door edge trim that is available at the auto parts store. I didn't use any glue to attach it. I wegde the back edge into the trip along the dash. 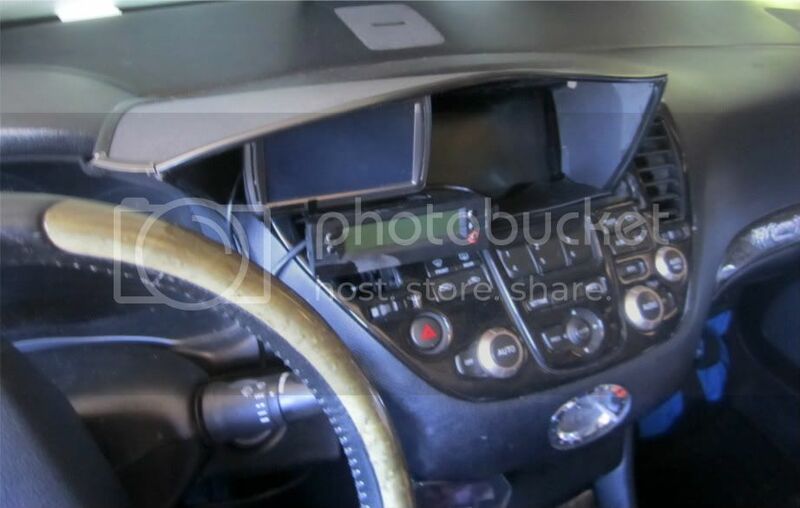 THe the piece near the steering wheel is folded and wedged into the dash trim. Original plan was to build it into the centre console at the top but in this version the sat nav lives there under a pop-up cover. 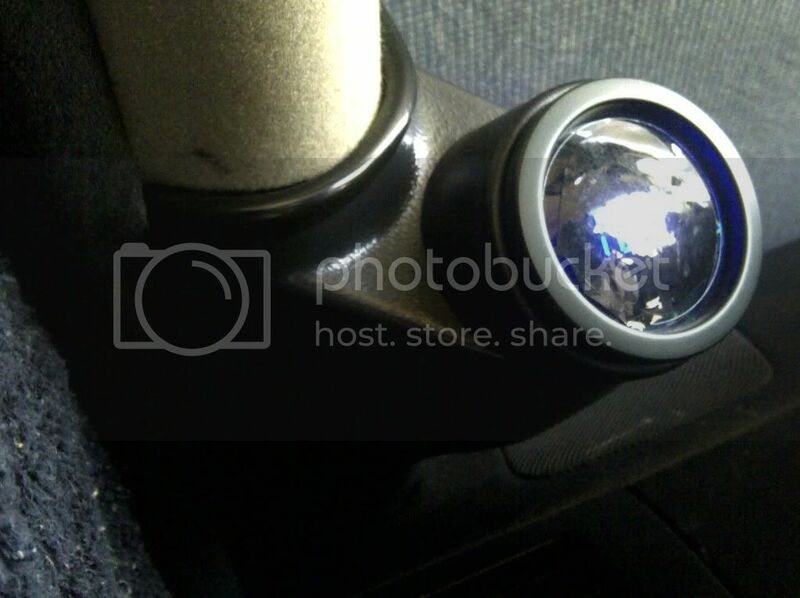 My worry about just mounting it in the middle of the dash is that someone will want to remove it without permission. Where it is just now is slightly hidden behind the A-pillar but it makes it hard to read in sunlight. 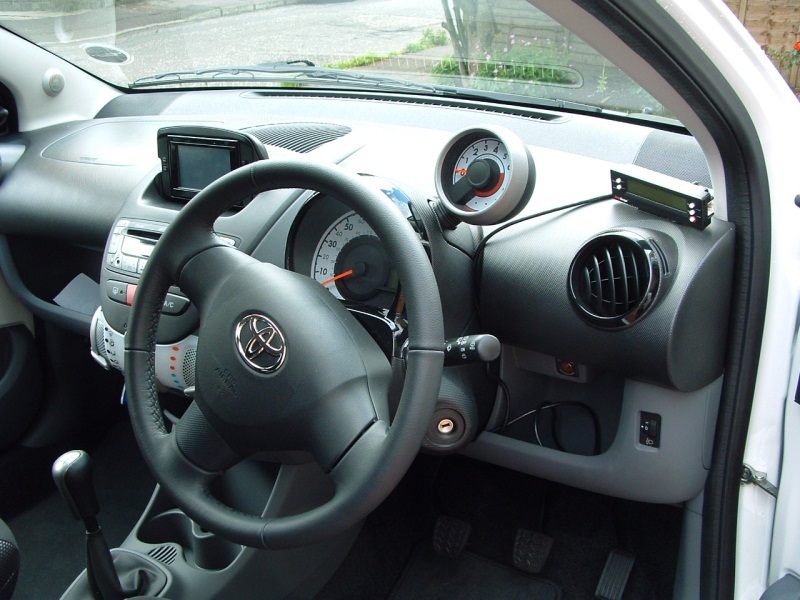 The traditional place, on top of the steering column, is out because of the closeness of the speedo to the wheel and I prefer it in the line of sight so low down on the dash or on the rear view doesn't work for me. I was at the 'plastic' store. there is a way to make a mold of something. 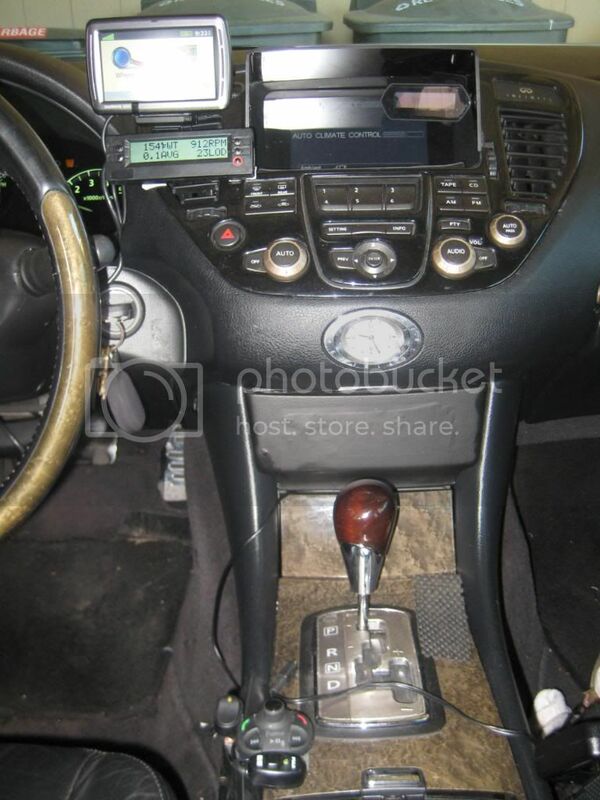 I was going to make a mold of the cover over the instruments and the put it over the gps and scangauge. 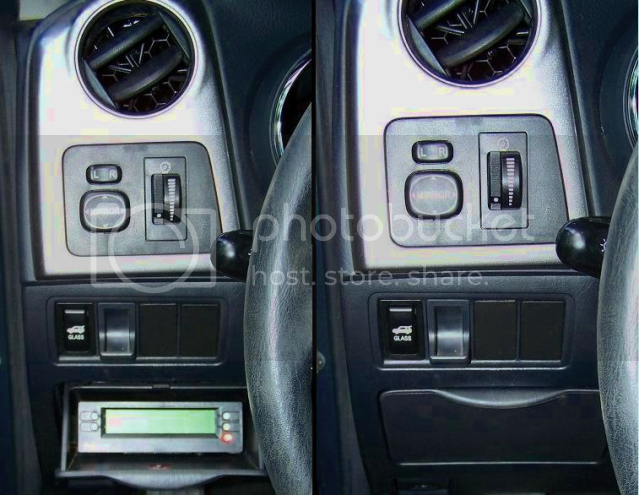 The bmw 7 series has a instument cover and a center cover that are the same. that was what gave me the idea. But I found the black notebook with the faux cover on it and thought "hey for $2 I'm done." 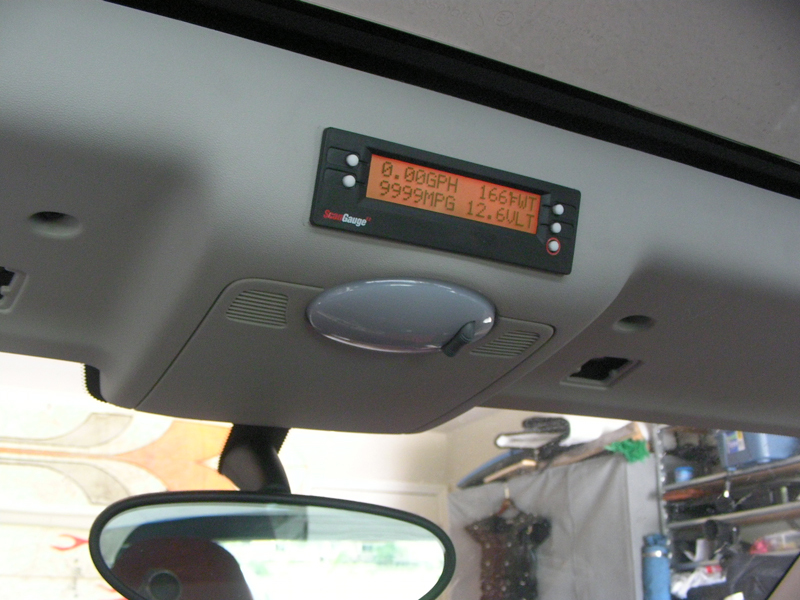 Thanks - its an idea I've moved it since the photo to above the speedo so if you looked in through the window (the angle of the pic) it would be hidden behind the rev counter pod. If I could dissasemble the SG and re-arrange the bits I'm thinking of a second pod for the other side. Anyone taken an SG2 apart to see whats inside ? EDIT : Someone with a SMART has done so. They've put it into the headlining though which is not where I want it. Last edited by Arragonis; 08-09-2011 at 01:57 AM..
go to page 6 of the smart page.....someone opened it. What I found is that you should live with it in sevral locations. I finally realized that it needs to be up in my line of sight. I could never mount it in the headliner like he did! Right - had a look around the car spares place in the Audio and Interior bits and bobs sections. Found an audio mount which is almost exactly the right size. Its from an adapter plate for a FIAT to allow a standard DIN head unit to replace the built-in non-standard sized one which fails quite easily. It is even the right colour to match the interior. Neat install, but too far out of one's field of vision I'd think. If you want something clean looking, check out Brodit ProClips - though they won't come cheap either. Those are all very interesting installs. In looking at the Vibe, I decided I wanted something that was functional, but I didn't want it to be a vandal magnet. So, I put it in one of the Vibe's numerous storage compartments; it's a tad lower than I like, but I can read it through the steering wheel without much trouble.